… but this is just gross. Yuki, one of my friends in Japan, assures me that "dancing sashimi" such as this is delicious, and one of the reasons food is eaten this way is to ensure its freshness. 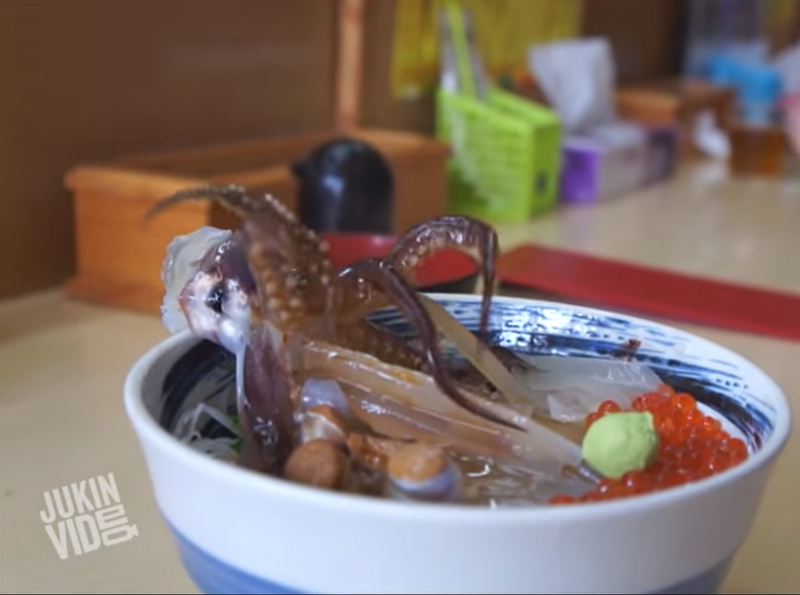 Varieties including shrimp and octopus, in addition to squid. But if I saw this in a restaurant, I would run screaming out the door.